Alex Medovoy identifies the potential benefits of a software development partnership and outlines ways to optimize the process for better outcomes. 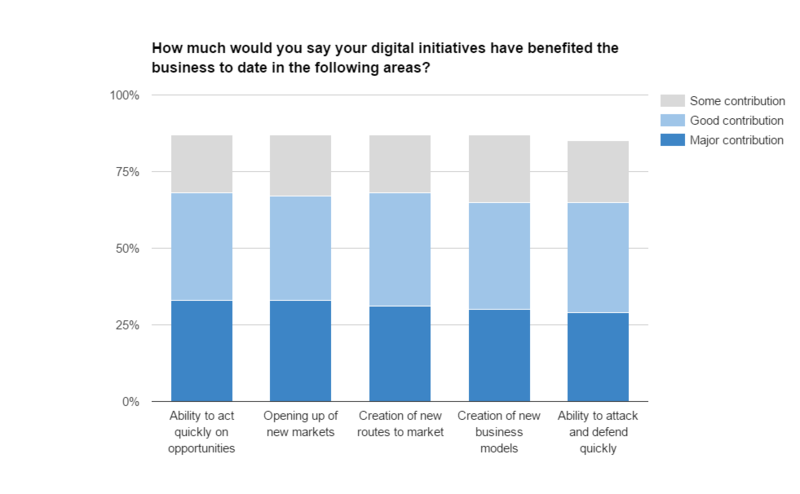 As digital transformation initiatives gain momentum, most businesses have come to rely on modern technologies in their search for increased long-term efficiency and profitability. From a grocery store across the street to multi-billion dollar IT giants like Google, software has become a backbone of almost every successful business. However, the decision to invest in software development for your business might be hard to justify. To help you make the right decision, let’s dive into the subject and identify the potential benefits of a software development partnership, outlining the ways to optimize the process for better outcomes. When estimating software development costs, several factors should be taken into account, including the software’s functionality and purpose. Depending on the role that software plays in your business, its development might require different amounts of effort and investment. While a simple corporate website might cost only several thousand dollars and take just one month to implement, the development of a full-fledged online eCommerce platform for a retailer might take years and hundreds of thousand dollars to build. The choice of the software engineering team and cooperation model is another major differentiator. Hiring an in-house IT staff could be a huge waste unless your business depends completely on your software product for its existence. But even in that case, a reliable remote software development partner proves to be a valuable alternative to an on-site team. Based on the independent research conducted by ContractIQ, remote Eastern European professionals might be twice as cost-efficient as U.S. software developers. Considered the best price-for-value tech talent, Eastern European engineers can be a great asset for a company seeking full-cycle software development assistance. According to the listed numbers, they can save you more than $50,000 for every 1,000 hours of web development alone, reducing the overall development cost by 60%. Hence, it’s no surprise that 43 percent of IT businesses and 38 percent of R&D businesses use outside partners in their operation. Additionally, some projects may require extensive market and competitive research, data analysis and machine-learning algorithms development, database and software architecture design, and various other services. Hiring specialists to handle these tasks in-house makes sense only if (a) you have enough work to engage each specialist long-term and (b) you cannot find a supplier to provide the same quality of service at a lower cost per hour. Distributed development teams not only add value to your business through improved cost-efficiency, they are also a major step on your way to complete digital transformation, which brings new revenue and value-producing opportunities. The CA Technologies study reveals that digital transformation is a part of business strategy in 55% of surveyed organizations. Such widespread adoption can be explained by the significant increase in customer retention (45%) and overall revenue growth (44%) the companies saw as a result of their digital initiatives. Moreover, the organizations saw a great number of additional benefits. This clearly shows that the benefits of business digitization through software development outweigh the risks and justify the related costs. The most common advantages of software development can be classified as quantitative and qualitative. Running an online business, you don’t have to rent an office or maintain a physical store. You don’t even need to buy a server. With cloud solutions, you can save up to another 74 percent on infrastructure costs. Put the information you have been accumulating for years to work. Big data and predictive analytics help you uncover hidden patterns and opportunities in existing business models. McKinsey found that customer support digitization can reduce the call center load by 25-30 percent, cutting the overall costs of customer support almost in half. By investing in mobility or AI technologies, even a small bank can beat the industry heavyweights at their own game and reap its share of the $660 billion annual fintech revenue. A mobile solution for your business is a great chance to increase your revenue: mCommerce s accounts for one-third of the total online sales in the U.S., which equals about $123.13 billion. With the overall “Uber-ization,” it’s important not to lose your identity and influence to yet another disruptive startup. Leading the innovation in your industry ahead of the competition, you become an undisputed market power. Having built a custom clinic management system for your practice, you further can transform it into a SaaS product and thus open up new business possibilities and additional revenue sources. The ability to track and analyze customer behavior helps you appeal to your audience through recommendation engines, personalized notifications, gamification elements and similar engagement tools. As you can see, not all the revenue a business gains from implementing software solutions can be measured in US dollars. While quantitative benefits presuppose either the reduction of expenses or the growth of income, which can be immediately visible, the qualitative advantages tend to be less transparent, yet equally important in the long run. For instance, the benefits of creating an eCommerce website for a retail company are pretty obvious. It’s a new sales channel, which brings almost immediate revenue. However, in addition, an eCommerce platform also increases market competitiveness and outreach, proving to be valuable to the business in the long run. Similarly, if a retail company implements inventory management software, it won’t directly impact sales. The value of this solution will lie in the optimized business operations and efficient use of resources. With the return on investment of the software development efforts being so obvious, it is tempting to jump on the bandwagon and reap its benefits ahead of the competition. Yet, despite its potential benefits, software development is a quite risky enterprise. 66% of IT projects worldwide end up being a partial or complete failure. To get the most out of your software development project, take into account the following eight best practices to employ when working with a technology consulting partner. When building a software product, expect more than solely engineering skills. Software success lies not only in the lines of code. Simple and elegant user experience is equally important for your product’s adoption by your target audience. For better outcomes, engage a full-cycle development team that will share your responsibility and guide you through all stages of the process: from business analysis and UX/UI design to engineering and quality assurance. Further support and ongoing product improvements are valuable as well. Software development can be cost-consuming. It might be tempting to choose the cheapest offer, but remember, if you buy cheaply, you pay dearly. Relevant experience, domain-specific skills and modern technology stack prove to be more valuable than several thousand dollars you might save instead. A dedicated software development team approach is a great addition to the above-listed benefits. Hand-picked software and QA engineers become a part of your core business, focusing solely on your product, which allows for better quality and faster time to market. Although it is almost impossible to assess the project scope upfront, creating a simple work breakdown structure can help you outline the major requirements and tasks. Such an approach contributes to the understanding between you and the team. Make sure that you understand what you will get at the end of each project stage, starting from consulting and up through the product launch. Communication proves crucial for project success when working with a distributed engineering team. This includes being able to identify clearly the goals and requirements, agree on deliverable beforehand and efficiently iterate throughout the process. It makes sense to come over to your team or invite them to visit your business location to jumpstart your project. This practice is especially important at the analysis and specification development stages. Then all issues are resolved as early as possible in the development process. Diving headfirst into a large software project with a new contractor might be risky. If something goes wrong or you decide to change the engineering team for any other reason, re-engineering of the half-built software might increase the project cost and cause significant delays. That is why starting a new software development partnership with a pilot project is a good idea. This allows you to eliminate the risks and test the waters at a reasonable cost. Even with a large project that is estimated to take more than a year, there is no need to try doing everything at once. A far better option would be to break down the total project scope into smaller and more manageable tasks, according to the best Agile software development practices. This keeps you flexible and allows you to adapt to the changing market conditions. Moreover, with technological advances your product never will be finished -- there is always a room for improvement. The technology stack largely depends on the type of software you want to build and its purpose. While the choice between native and cross-platform mobile development is one of the most disputed topics, web development offers a great variety of options as well. Therefore, you need to weigh all pros and cons, rather than blindly trusting your contractor. Or at least request technology consulting as a separate service to make a well-grounded decision. You can find the original at AltexSoft’s blog here. Published at DZone with permission of Alex Medovoy . See the original article here.